the walk-through metal frame is constructed of welded steel with a durable powder coat finish. the door swings freely in both directions and securely closes at the top and bottom. a tension spring hinge prevents “curious” pets from nudging open the door. the beautiful finishes are applied with care and attention to detail to ensure lasting durability. 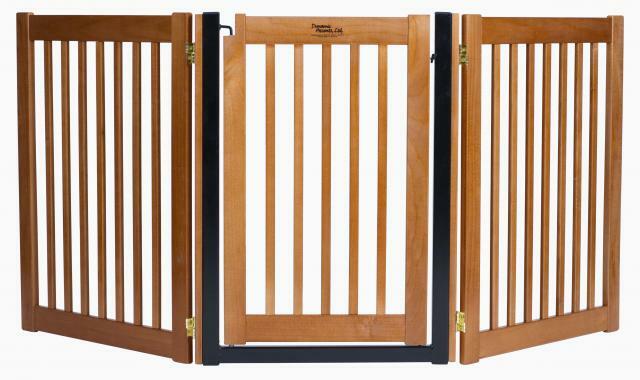 The 32 inch height of the Highlander Series EZ pet gates, and the beautiful mahogany wood finish provides for an elegant, highly effective pet gate. Our low prices and free shipping make this combination hard to beat. 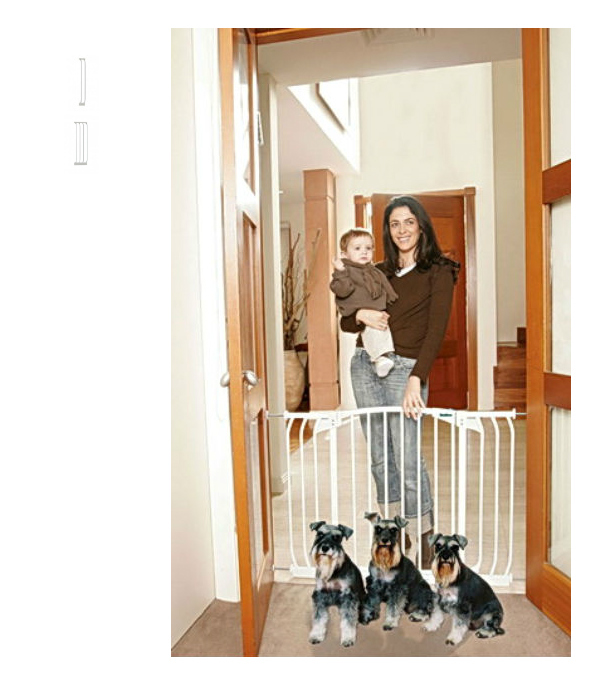 This white pet gate Plus 7 combo package includes the Swing Close Hallway Pet Gate plus an additional 7 inch extension. 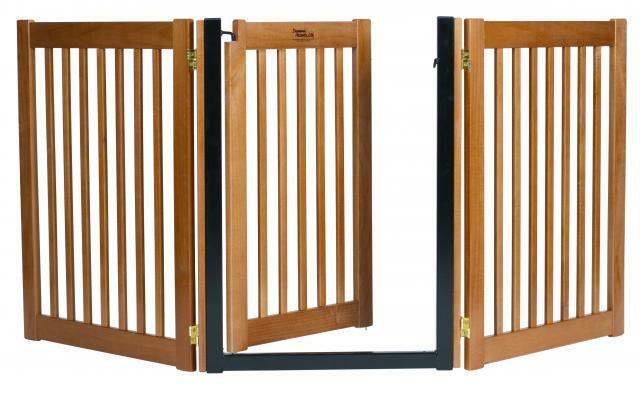 This pet gate kit provides for 5 width range options up to a maximum of 56.5 inches. The Bindaboo Hallway Security Pet Gate Plus one 3.5 inch and one 10.5 inch extension in white (38 to 56.5 Inches) is pressure mounted and has reinforced steel rungs to counter pet strength. 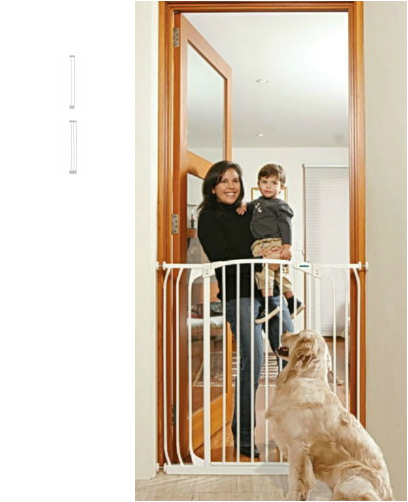 Bindaboo Extra Tall Hallway Pet Gate Plus 3.5 and 7 Inch Extensions in White (40.5″H, 38″ to 53″W). 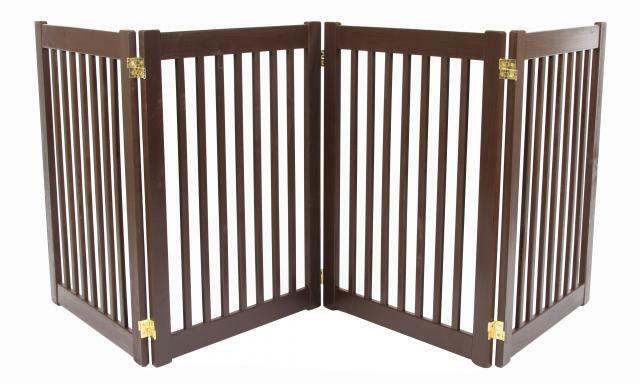 This gate is pressure mounted and can be set up and taken down very easily.